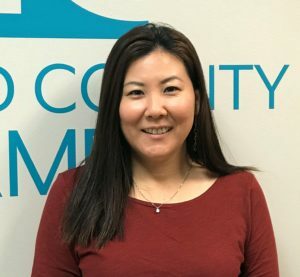 Lynn Song joined the Chamber as Events Manager in fall of 2018. Prior to joining the Chamber, Song served as a Military Intelligence Officer for the U.S. Army. Her previous roles include Platoon Leader, Logistics Officer and Security and Intelligence Officer. Song planned and managed many military functions including a Military Intelligence Ball, various Changes of Command, promotion and retirement ceremonies as well as luncheons, holiday parties and training exercises. As a military spouse, Song has also spent time as a Family Readiness Group leader organizing fundraisers, cultural trips, 5K runs and holiday events for Soldiers and their families. Song studied abroad at Ewha Woman’s University in Seoul, Korea and can speak Korean fluently. She received her Bachelor of Science in Business Administration there, but also has a Master of Public Administration from the Florida Institute of Technology. Lynn currently lives in Ellicott City with her two children and husband, Camero.